This is one of my favourite captures from Yorke Peninsula. Wallaroo is a great spot with a great name. As I was wandering around looking for a good location to take some pics at sunset, these three posts and the colourful rocks caught my eye. This was a 30 second exposure just after the sun had disappeared. I was really enjoying taking the photos, capturing that dreamy misty water when a local bloke came down to where I was shooting and told me a little bit about the place. 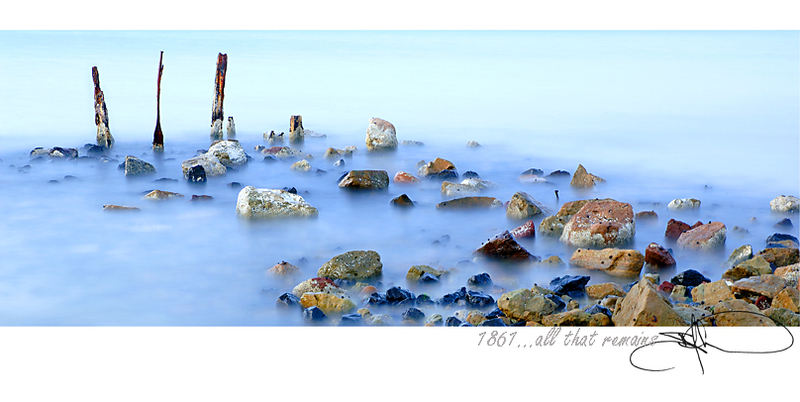 I was stoked to discover that I was actually shooting the last remains of the original Wallaroo jetty which was built in 1861. 148 years later this is all that remains.